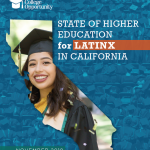 The Campaign for College Opportunity works with our coalition partners to ensure that California continues to honor its historic commitment to higher education in our state. Yet, we can’t do it alone. You can also play a crucial role in ensuring the future success of students and higher education in our state. 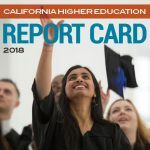 The future of our state depends upon an educated and vital workforce that can help California remain a leading, innovative global presence. And the future of higher education in our state depends on us all. Keep up to date on our work by signing up for our newsletter. Your voice matters! 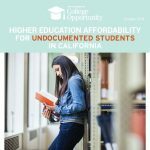 Share your thoughts as a college student on the issues you care about. 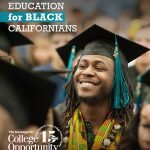 Contribute to the mission of The Campaign for College Opportunity by making a personal donation. 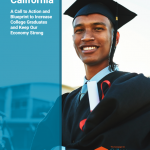 Tell California’s leaders that the state needs a plan to help more students go to college and graduate.